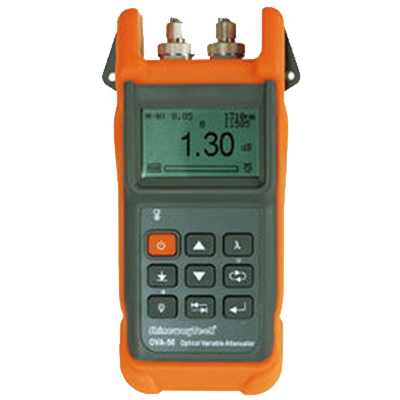 Normal attenuator can only introduce and display an attenuation value, you need a separate power meter to measure or adjust the output power value of attenuated optical signal. Working like a combination of attenuator and power meter, OVA-50 Output Power Control mode enables direct setting of precise optical power level and can automatically stabilize output level without any interference by variations of input power. User can preprogram frequently-used attenuations to reduce workload.